There is a term in the travel industry for the time between peak and off-peak travel—it’s called the shoulder season. And if you ask me, there’s a culinary shoulder season in my kitchen as well. It’s the time after the warm, light-filled days of summer but before the cold and dark of winter sets in, a season that allows us to gradually shift our cooking and eating habits. As my summer garden output and local produce selections start to dwindle, I think of ways to transition meal prep to suit cooler days and heartier dishes. My early forays into zucchini boats had a decidedly American inclination—squash stuffed with ground beef, tomatoes, onions, salt and pepper topped with cheddar cheese. But as my children became more adventurous eaters, I added more veggies—peppers, corn, mushrooms, spinach, kale—as well as grains like wild rice, barley, quinoa and wheat berries. We settled on our favorite, the aforementioned fiesta boats, because of our enduring love of all foods Mexican and Tex-Mex. The recipe below is the culmination of much experimentation with the fiesta filling. This is a perfect dish for making the transition to fall; it’s light and filled with wholesome ingredients, but it’s hearty enough for cool fall evenings. Call it comfort food for the shoulder season. Slice each zucchini in half lengthwise and scoop out the inside of each half using a spoon or melon baller, leaving enough zucchini to make sure you have a sturdy little boat (about 1/4 inch). 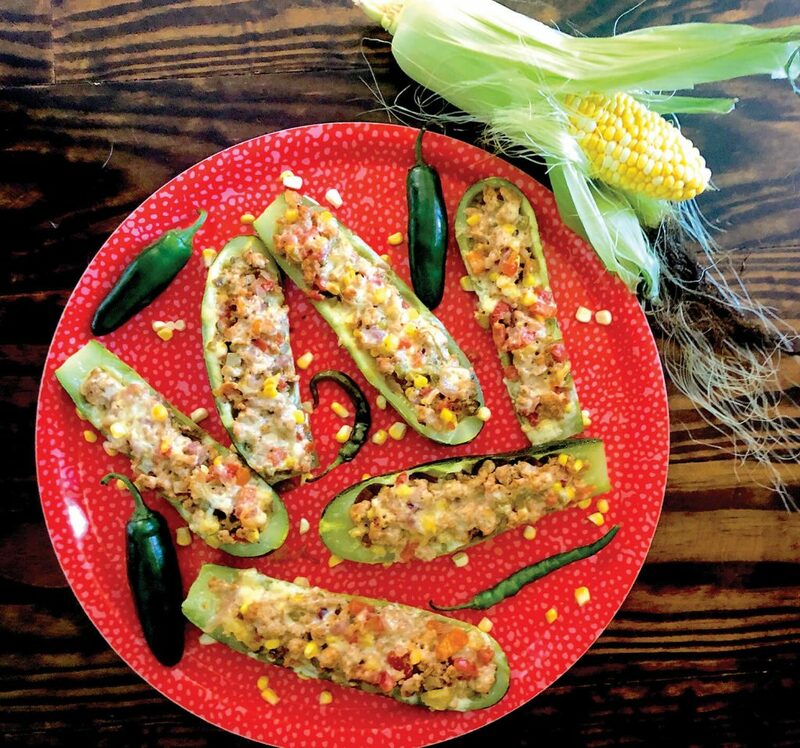 Save the scooped out zucchini to add to your fiesta filling. In a large skillet, heat olive oil and cook onions, garlic and peppers until softened. Add ground meat and cook through. Add salsa, corn, chili powder, and cumin and cook until combined, about 5 minutes. Remove from heat. Add cilantro and salt and pepper to taste. Grease a large casserole dish and arrange zucchini boats so they are not touching each other. Generously fill each boat with fiesta filling and top with cheese. Cover the casserole dish with aluminum foil and bake for 20 minutes. Turn oven to broil, remove foil and broil the boats until the cheese is bubbly and golden. Garnish with cilantro and serve piping hot. This recipe yields more fiesta filling than you will need for your boats. That’s my gift to you. There should be enough left over that if you add a can of beans and reheat, you can have fiesta chili for dinner the next night. Or heat and serve it over rice for a yummy fiesta bowl. Or use it as taco filling and have fiesta tacos. The possibilities are practically endless. Fiesta boats make a tasty meatless entrée. Just substitute a can of black beans for the ground meat and the vegetarians (and non-vegetarians) will say “¡Olé! Not in the mood for Mexican? Make yours Italian by subtracting chili powder and cumin and adding Italian seasoning and topping with Parmesan cheese. How about a super-easy sweet treat after you’re finished fiesta boating? 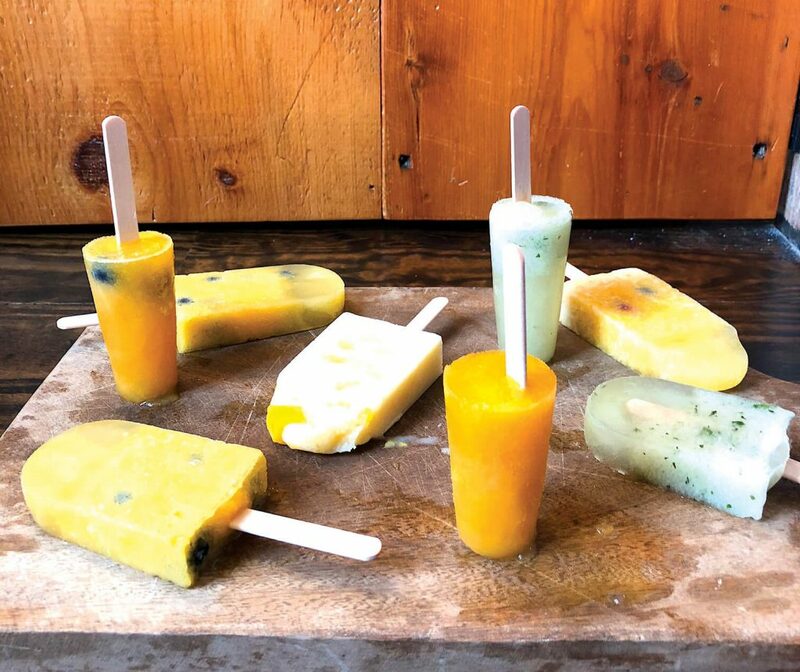 Try these Mexican-style paletas (it means “little stick” in Spanish) or ice pops. They’re fruity, cool, refreshing and so easy to make. In a blender or food processor (I use my Magic Bullet), blend sugar, water, lime juice and half the fruit until smooth. Spoon the diced fruit into ice pop molds (I use four molds per batch) then add the blended liquid. Fill each mold, leaving about a quarter inch at the tip. Freeze molds for about an hour, until mixture is slushy, and insert pop sticks. Freeze for another 4–6 hour until solid. Run the bottom of the molds under warm water to release the pops. You can substitute fruit juice or coconut water for the sugar and water for a quick fix and more flavor. Add a dash of chili powder to your pops for a burst of authentic flavor. Substitute cream in place of water and you have a sweet, creamy paleta. I use herb tea instead of water for my honeydew pops and add a few mint leaves to the blender for a sophisticated taste. It’s like a spa day on a stick.